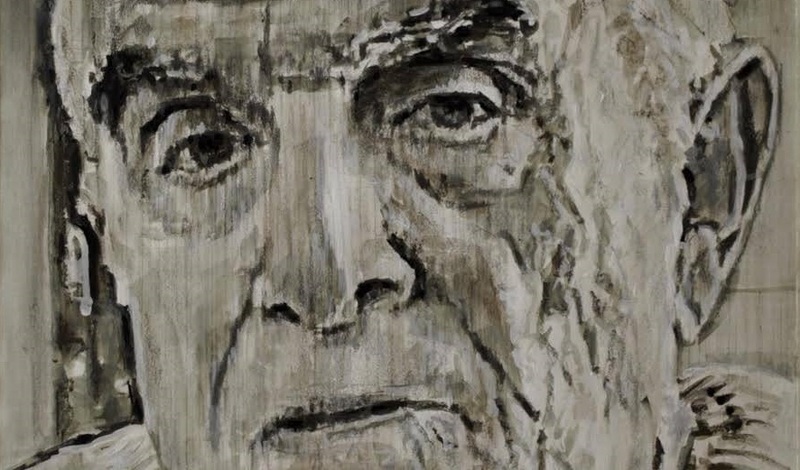 Study for a Portrait of René GIRARD (detail), ©Luca Del Baldo pencil, charcoal and watercolor on paper 2013, All rights reserved. My heartfelt thanks to Luca del Baldo for the permission to use his work. Bishop Robert Barron proposed René Girard (1923 – 2015) as a late modern Church Father in a piece published yesterday. This might seem hyperbolic, but it is really difficult to underestimate the immense range of the French theorist’s influence. This is what I would like to demonstrate today. 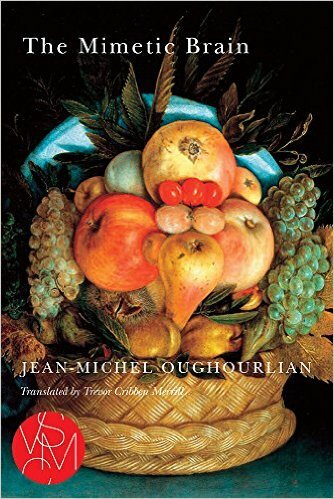 If by their fruits you shall know them, then Girard is like an intellectual orchard. His influence is everywhere and shows how one need not shun one’s deeply and rationally held Catholic faith in order to make a dent in the “secular” academy. There is no reason for Catholics to hide their talents. If Karl Barth’s classic Epistle to the Romans is said to have been a bomb dropped into the playground of the theologians, then Girard’s three main works were bombs that exploded in humanities departments all over the world. At last count there are at least six people at the University of Washington (my alma mater), across several humanities departments and disciplines, who would count themselves Girardians–half of them would agree with that appellation even though they dismiss Girard’s turn to theology. 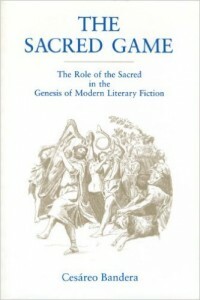 As I’ve said elsewhere, there are three chief works where Girard develops the most important and interlocking components of his thinking: Deceit, Desire, and the Novel (desire), Violence and the Sacred (scapegoat), Things Hidden Since the Foundation of the World (theological implications of the other two concepts). I See Satan Fall Like Lightning is Girard’s most readable late synthesis of these three concepts. If you are not familiar with any of these ideas, I recommend looking at the short, yet programmatic, explanation in the blogpost Is Christianity a Myth? We seem to be abandoning the codes that told previous generations who they should love. But now that many of us are free to choose whoever we want, nothing is less certain. The proliferation of divorces and separations reveal a dynamic we would rather not see: others sometimes reject us as passionately as we are attracted to them. Our desire makes us sick. The throes of rivalry are at the heart of our attraction to one another. This is the central thesis of Jean-Michel Oughourlian’s The Genesis of Desire, where the war of the sexes is finally given a scientific explanation. The discovery of mirror neurons corroborates his ideas, clarifying the phenomena of empathy and the mechanisms of violent reciprocity. How can a couple be saved when they have declared war on one another? By helping them realize that desire originates not in the self but in the other. There are strategies that can help, which Dr. Oughourlian has prescribed successfully to his patients. This work, alternating between case studies and more theoretical statements, convincingly defends the possibility that breakups need not be permanent. 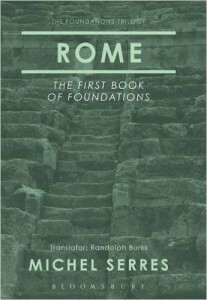 Michel Serres first book in his ‘foundations trilogy’ is all about beginnings. 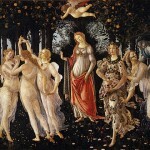 The beginning of Rome but also about the beginning of society, knowledge and culture. 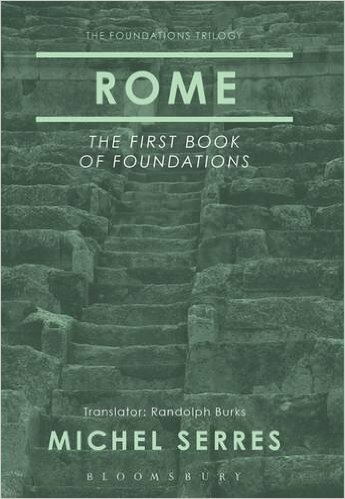 Rome is an examination of the very foundations upon which contemporary society has been built. With characteristic breadth and lyricism, Serres leads the reader on a journey from a meditation the roots of scientific knowledge to set theory and aesthetics. He explores the themes of violence, murder, sacrifice and hospitality in order to urge us to avoid the repetitive violence of founding. Rome also provides an alternative and creative reading of Livy’s Ab urbe condita which sheds light on the problems of history, repetition and imitation. First published in English in 1991, re-translated and introduced in this new edition, Michel Serres’ Rome is a contemporary classic which shows us how we came to live the way we do. 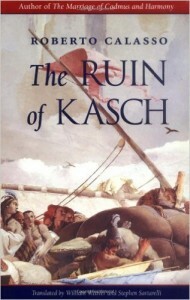 Taking as his focus the periods immediately before and after the French Revolution but making occasional sallies backward and forward in time – from Vedic India to the porticoes of the Palais-Royal and to the killing fields of Pol Pot – Calasso recounts, elucidates, and interprets the downfall of what Baudelaire was already calling “the Modern.” This downfall came as a sequel to an earlier and opposite collapse: that of the archaic societies which were regulated by the movements of the stars and the rituals of sacrifice. 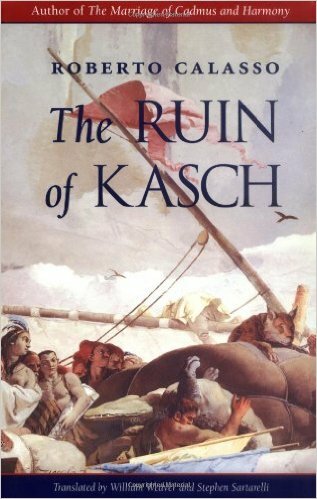 At the center of the work stands the story of the ruin of Kasch, a legendary African kingdom whose annihilation becomes emblematic of the ruin of the ancient and modern worlds. 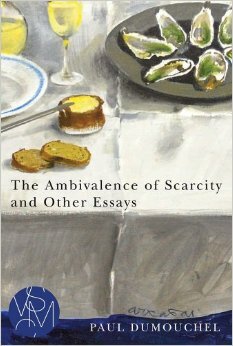 The genius of Calasso’s book is that, in its illuminating blend of literature and ideas, it establishes a genre all its own. Its form is a rich blend of anecdotes, quotations, analysis, digressions, aphorisms, dialogues, historical discussion, and straightforward storytelling that beautifully mirrors its subject matter and evokes the protean spirit of Modernism. It is a sumptuous literary feast. Calasso brings to his stage a vast gallery of characters, including Laclos and Marx, Benjamin and Chateaubriand, Sainte-Beuve and Levi-Strauss, Max Stirner and Joseph de Maistre. And presiding over them all is the French statesman Charles-Maurice de Talleyrand-Perigord, who knew the secrets of both the Old and New regimes and who was able to adjust the perplexing and cruel notion of “legitimacy” to the modern age. Cynical Talleyrand – who showed that success in the new era depends on agility, fluidity, and a consummate sense of style – serves, fittingly, as the master of ceremonies throughout the book,which is at once a meditation on the origins and nature of power and a breathtaking synthesis of Western cultural history. It is an extraordinary reading experience. It is widely recognized that American culture is both exceptionally religious and exceptionally violent. Americans participate in religious communities in high numbers, yet American citizens also own guns at rates far beyond those of citizens in other industrialized nations. Since September 11, 2001, U.S. scholars have understandably discussed religious violence in terms of terrorist acts, a focus that follows U.S. policy. 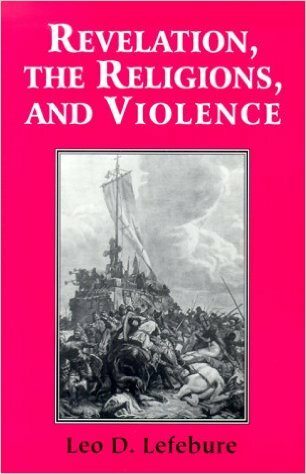 Yet, according to Jon Pahl, to identify religious violence only with terrorism fails to address the long history of American violence rooted in religion throughout the country’s history. In Empire of Sacrifice, Pahl explains how both of these distinctive features of American culture work together by exploring how constructions along the lines of age, race, and gender have operated to centralize cultural power across American civil or cultural religions in ways that don’t always appear to be “religious” at all. 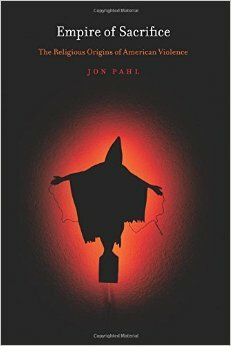 Pahl traces the development of these forms of systemic violence throughout American history and focuses an intense light on the complex and durable interactions between religion and violence in American history, from Puritan Boston to George W. Bush’s Baghdad. The discovery of mirror neurons in the 1990s led to an explosion of research and debate about the imitative capacities of the human brain. 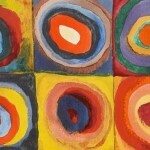 Some herald a paradigm shift on the order of DNA in biology, while others remain skeptical. 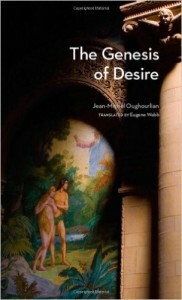 In this revolutionary volume Jean- Michel Oughourlian shows how the hypotheses of René Girard can be combined with the insights of neuroscientists to shed new light on the “mimetic brain.” Offering up clinical studies and a complete reevaluation of classical psychiatry, Oughourlian explores the interaction among reason, emotions, and imitation and reveals that rivalry—the blind spot in contemporary neuroscientific understandings of imitation—is a misunderstood driving force behind mental illness. Oughourlian’s analyses shake the very foundations of psychiatry as we know it and open up new avenues for both theoretical research and clinical practice. Revelation, The Religions, and Violence examines the basic human dynamics that produce violence and how the diverse experiences of Christianity, Judaism and Islam, as well as Chinese and Indian religions, address this universal problem. Lefebure extends the pathbreaking insights of Rene Girard into a multi-religious context. In particular, he shows how Christianity — which many accuse of glorifying violence in the crucifixion of Jesus — really unmasks humanity’s violent impulses no matter how sacred the cause they appear to validate. Although historically attitudes toward and encounters among the world religions have been filled with strife, the values and experiences they share can become the bedrock on which to build more humane societies. 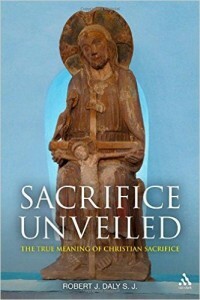 The first full-fledged application of the sacrificial model to fiction from the Middle Ages to the modern era. Cesáreo Bandera contends that we badly misjudge our own historical situation if we believe that the sacred is something that can be left behind or ignored as utterly irrelevant. The Sacred Game argues that the sacred is all around us and its most characteristic manifestation is precisely the “allergic” reaction and subsequent barrier it produces in our “secular” sensitivity as soon as we come in contact with it. The Sacred Game examines the transition from the Middle Ages to the modern era from a Girardian perspective. It brings light to the weakening of the traditional association of literature with the sacred and its far-reaching consequences, and it studies the logic that governs the emergence of the most characteristic forms of modern fiction, the modern novel and the modern theater. Bandera emphasizes the unprecedented character of what happened to literary fiction during this transition. While the historical facts of the period are well known, Bandera presents them in a new light. 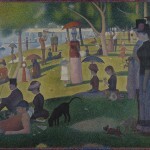 The result is a new theory of literary fiction that challenges certain well-established approaches, in particular the nineteenth-century liberal romantic and Marxist approaches. I could keep going on indefinitely by citing books by Nobel Winner J.M. Coetzee such as Disgrace, or Girard’s influence on feminist theorist Julia Kristeva’s, especially in the essay “Women’s Time” (featured in The Kristeva Reader and hundreds of anthologies). 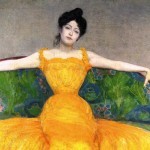 Late in life Girard wrote a book on anorexia, opening that topic for future research. You can get a sense for his influence on anthropology in the heated debates with anthropologists in Violent Origins. Girard is also responsible for bringing deconstruction to the United States (GASP!) through his co-organization of a conference at Johns Hopkins in 1965 where Derrida made his first American appearance and brought the house down. However, a book by one of Girard’s students, Andrew McKenna, entitled Violence and Difference: Girard, Derrida, and Deconstruction, argues Girard’s theological arguments answer the questions about violence Derrida’s philosophy only manages to ask. Girard’s influence is immense, but I do have to stop and get some sleep. You cannot hope to escape him, and you can barely even contain him. Actually, I can’t quite stop just yet. I sincerely hope Catholic and other Christian intellectuals will model Girard’s exemplary lead and aim to encounter the mess of the world, even if it is sometimes (not always) hostile. It is something that IMAGE Journal has done from its inception. I am thrilled to announce that their blog Good Letters will migrate to Patheos Catholic soon. This is my vision for Patheos Catholic as we move forward and expand under my lead. 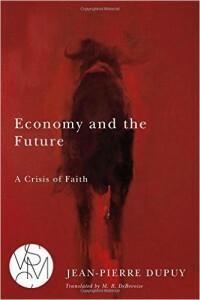 For more on Rene Girard see my obituary and the post René Girard: The Papacy Defeated the West. November 13, 2015 Is the Higher Education Turboencabulator Fixable?